Virtual prototyping offers ample benefits for SSD and NAND controller software development. Just when you think you know all variations of embedded software development you are exposed to another domain of unique and interesting challenges. NAND Flash cells have a certain lifespan and the controller software needs to keep track of the number of reads and writes to distribute the data optimally (called wear leveling). The NAND hardware changes (ages) with each software run and so does the tracked software state, which makes it incredibly hard to debug and reproduce software error conditions. The system state can be altered without burning through tons of physical Flash hardware or running through hours of test pre-setup. Errors can be injected into Flash cells without breaking them, in addition to reproducing the error conditions deterministically. Full visibility into any hardware and software state can be achieved without the need to alter it. 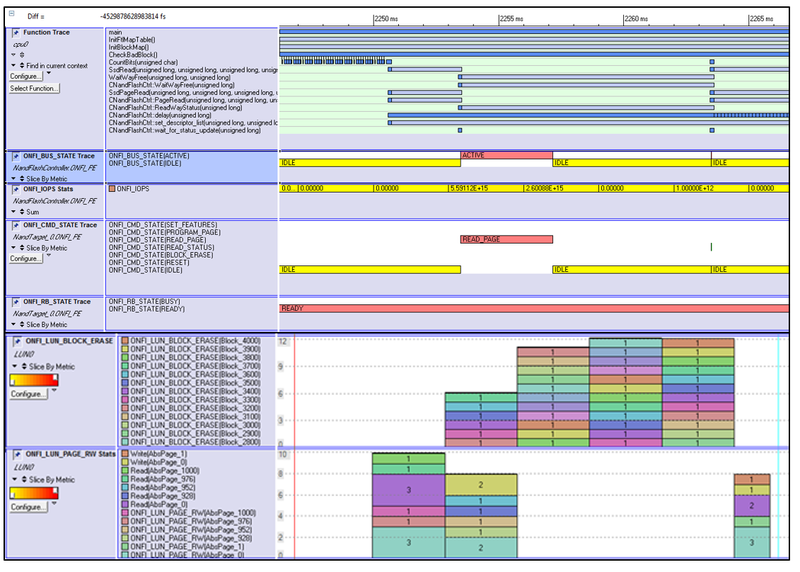 The Host interface – also called Front-End – connecting the device to the host, for SSDs often based on PCIe or SATA protocols. The compute subsystem running the FTL (Flash Translation Layer) Firmware software, tracking the Flash state and reshuffling the data around, performing wear leveling, caching and other kinds of book-keeping. 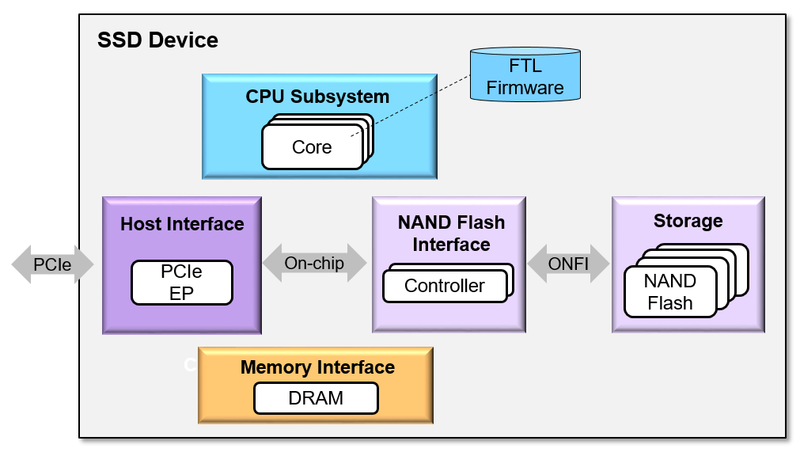 The Flash Controller – also called Back-End – communicating with the NAND Flash over e.g. the ONFI protocol. The Flash itself, organized depending on its type into LUNs, Planes, Block and pages. Building up of scripting interfaces to inject errors, change factory mappings, and perform data corruption. Victor Reyes and Filip Thoen recently presented the Synopsys SSD Starting Point VDK and how it can be used for Fault Injection testing at the SNUG conference in Silicon Valley. Please check the SNUG webpage in the coming weeks to view the proceedings. Malte Doerper is responsible for driving the software oriented virtual prototyping business at Synopsys. Malte also spent over 7 years in Tokyo, where he led the customer-facing program management practice for the Synopsys system-level products. He has more than 12 years of experience in all aspects of system-level design ranging from research, engineering, product management and business development. He joined Synopsys through the CoWare acquisition. Prior to CoWare, he worked as researcher at the Institute for Integrated Signal Processing Systems at the Aachen University of Technology, Germany.